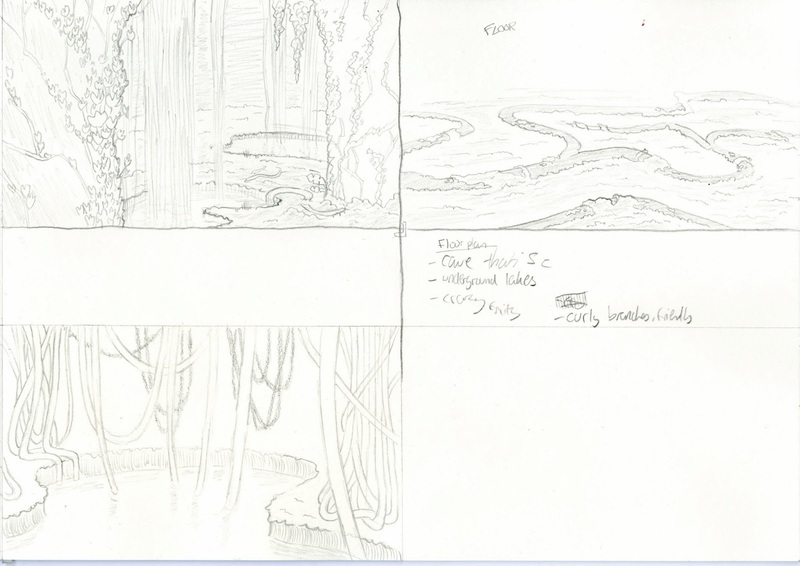 I was approached by Alex Watkins to help out producing some concept art for the film 'The Heart of the Tree'. 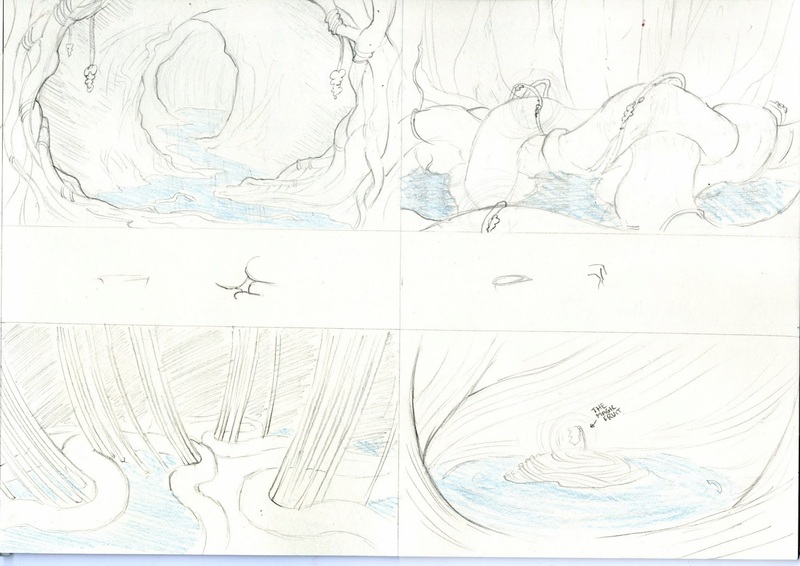 The film involves 2 major environments, the outside desert, and the abstract interior of a huge tree. I did some quick pencil sketches for both environments, and then got asked to focus just on the tree interior, with Annabel doing the dessert. Yan showed me his work flow, and explained the process he goes through to create a concept piece, which was massively helpful. He also set up some useful hotkeys for the Intuos 4 graphics tablet I am using, to enable me to work efficiently. I have only dabbled in painting on Photoshop, so it was a bit out of my comfort zone, but after working at an image for a while I got some results I was very happy with. 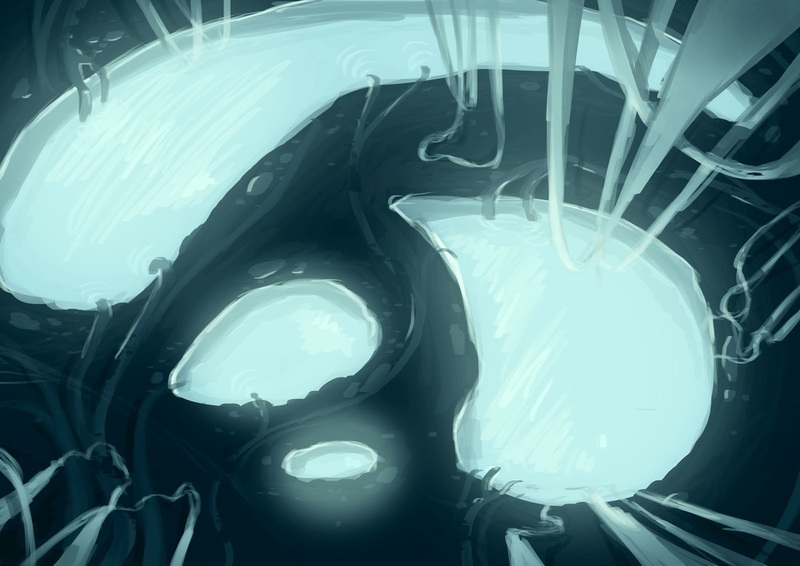 The way I created the paintings was to block out large shapes first, then further refine and sculpt them until I got a composition I was happy with, then went in and added lighting and shading. 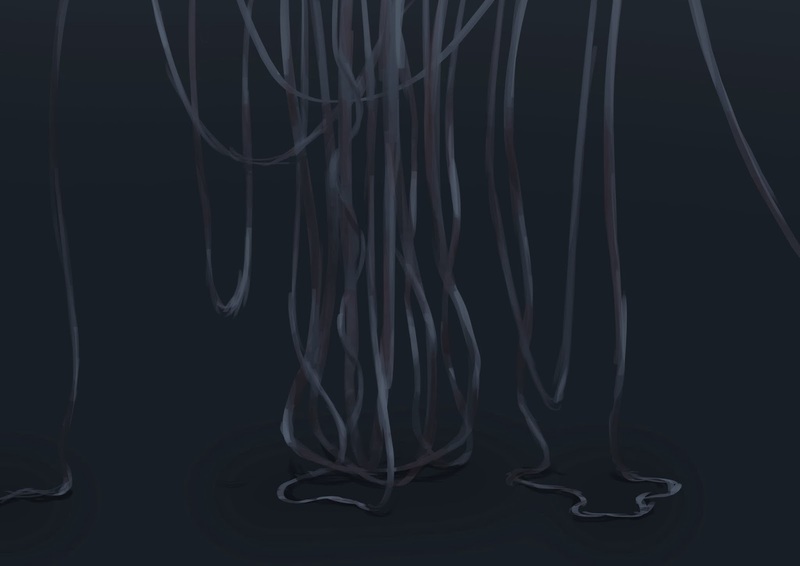 Yan explained how this method gives you more freedom than drawing with hard lines (as I usually do), as you are not constricted to definite shapes that lines create. It does strangely make a lot of sense. 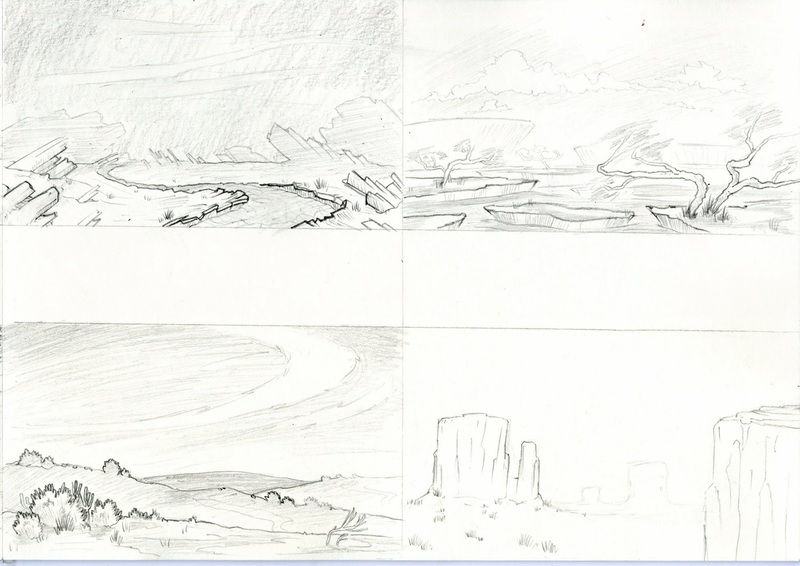 Desert sketches, with different landscapes. Tree interior ideas. 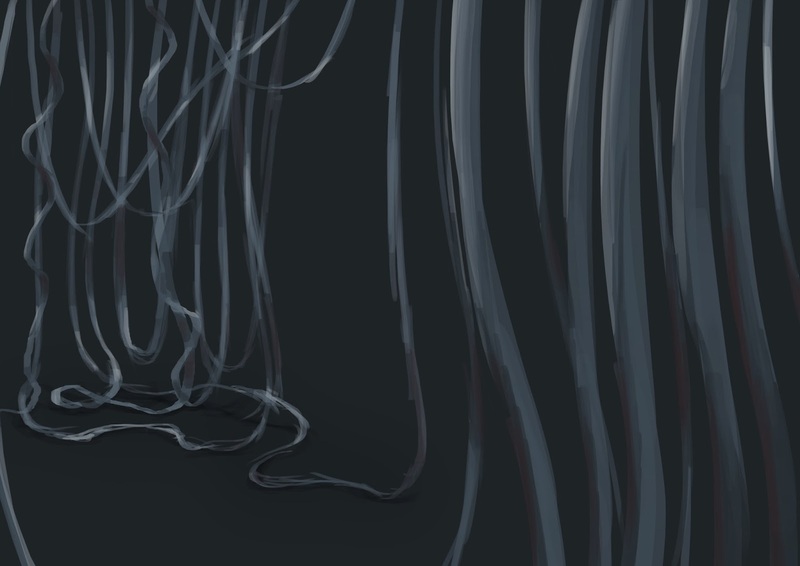 Very rough, playing with roots to create different shapes. 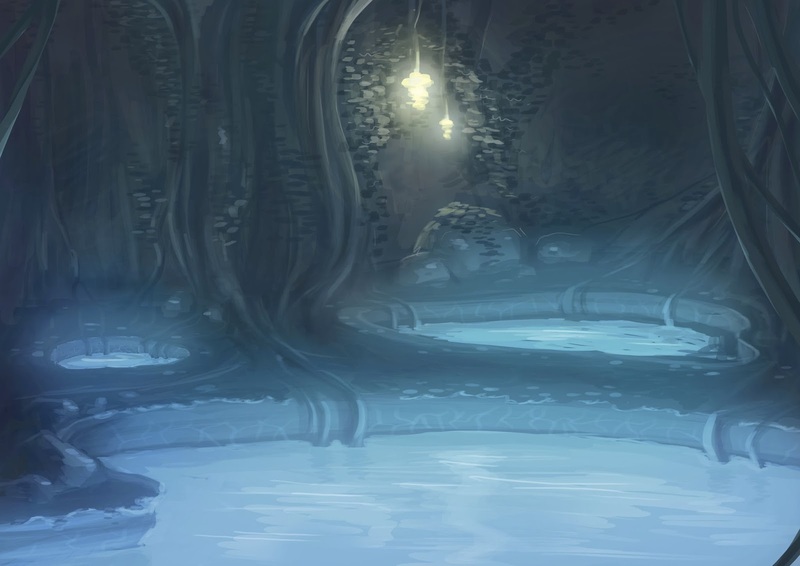 In the film there are pools of water and hanging vines and ivy, which at this point I'm trying to sketch out. This is the first Photoshop concept piece I produced, took a few hours. The hanging lights are meant to be luminescent grapes I believe. A sort of layout-design, experimenting with some different colours. 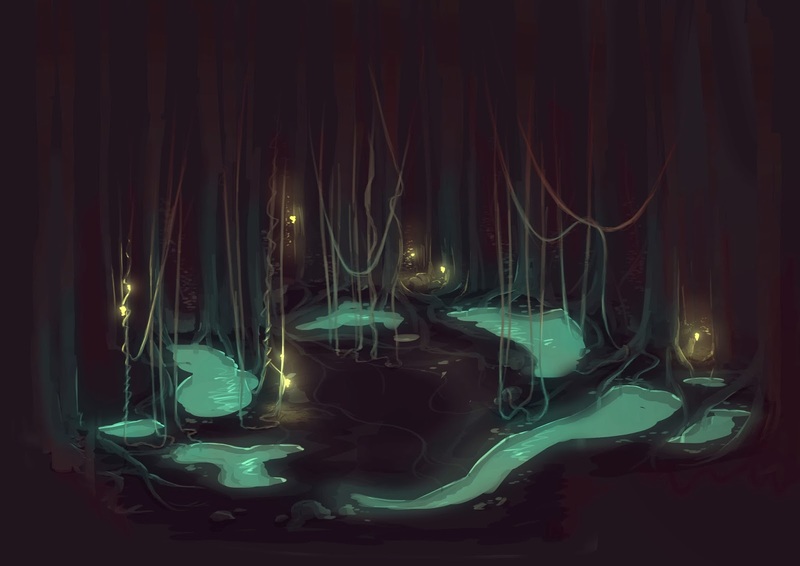 A top-down view of some pools of water, with hanging Ivy draping in and around the pools.